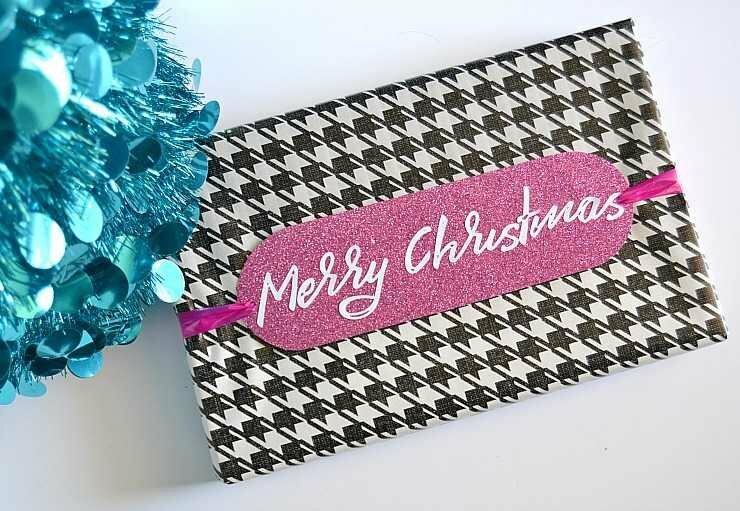 Inside: Easy steps to make your own personalized (and really glittery) Christmas gift tags to add a fun touch to your gift wrapping! The first step is to cut out the letters or the saying that you want on each tag. 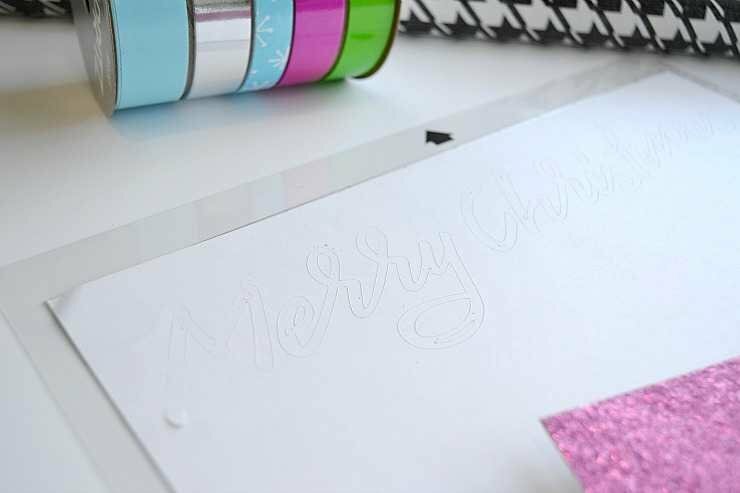 I used my silhouette cameo for this, but if you don’t have one you can trace the letters and cut them out of white card stock or use stickers. If you decide to trace and cut out, I would go with a simple font and do the large monogram tags to make it really easy. 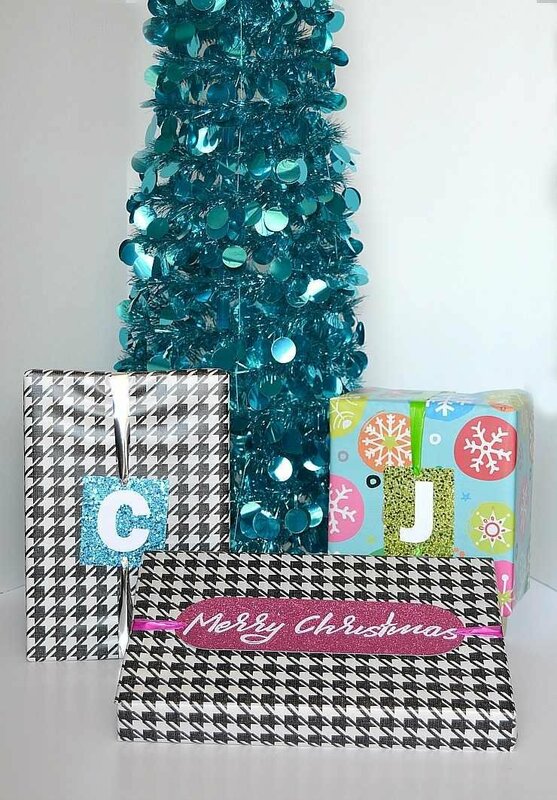 Next, you will cut out pieces of glitter paper based on the size of your letters. I simply held each letter and cut squares around each one. 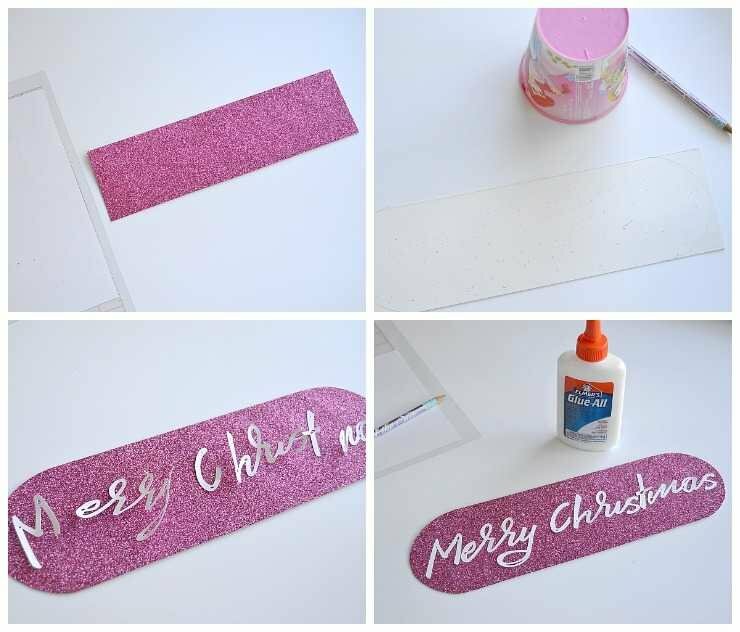 Then glue each letter onto the glitter paper. 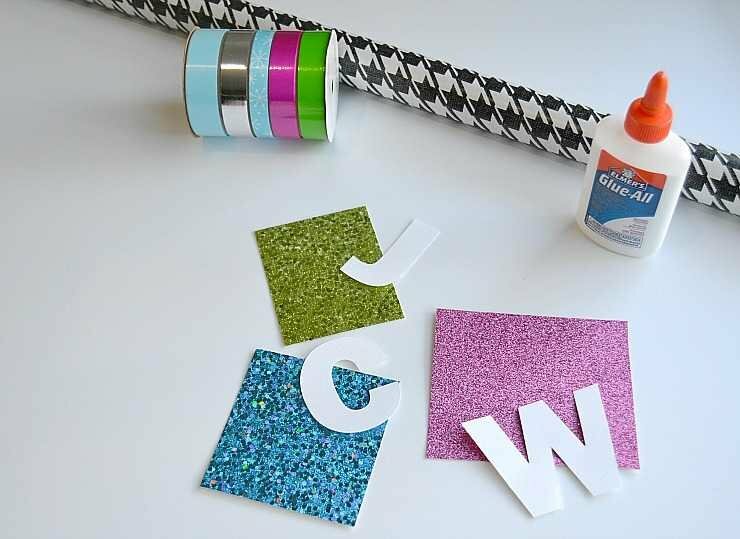 I would use glue even if you are using stickers to make sure the letters really stick to the rough surface of the glitter paper. 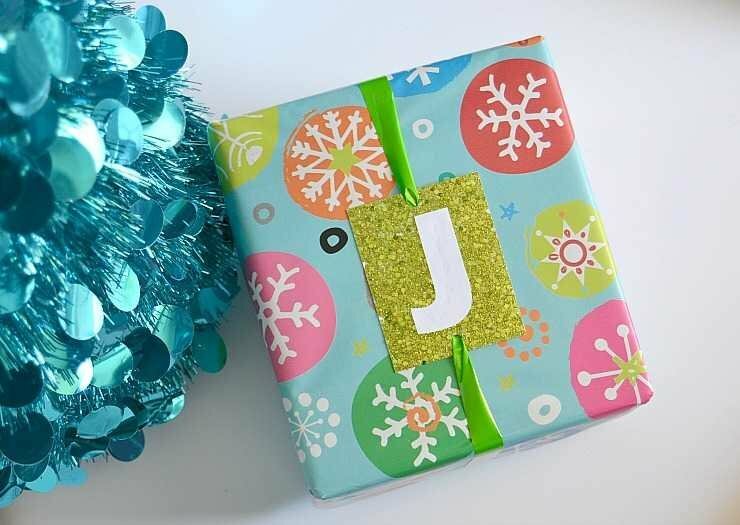 Once you’ve glued on the letters and they are dry, use a hole punch to make a hole on two sides and thread the ribbon through the holes. Place it on your package and tie it in the back for a really sleek and modern look. 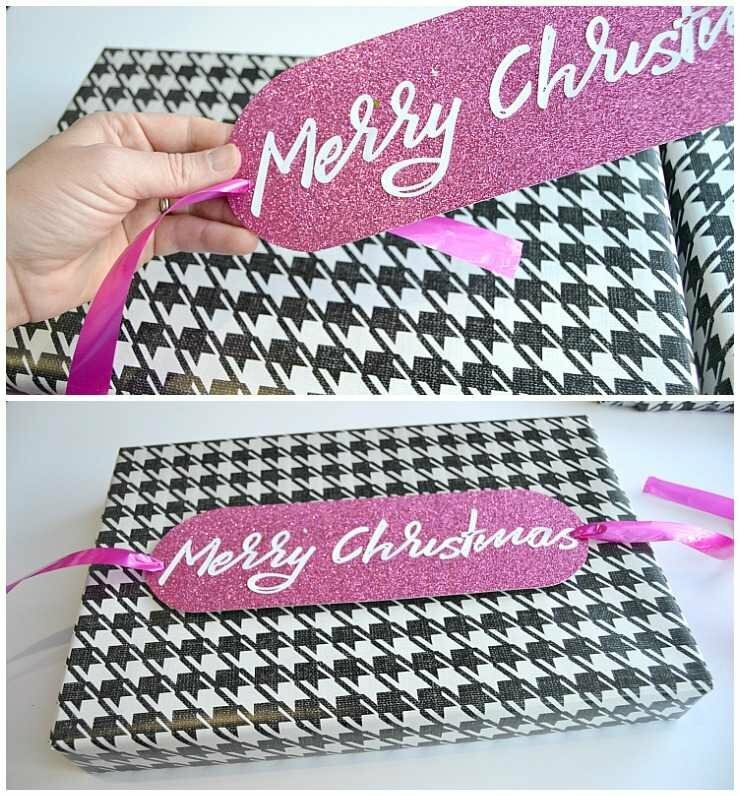 For the Merry Christmas tag, I followed the same steps but this time I cut a long rectangle piece of glitter paper and rounded the corners. And that’s it! 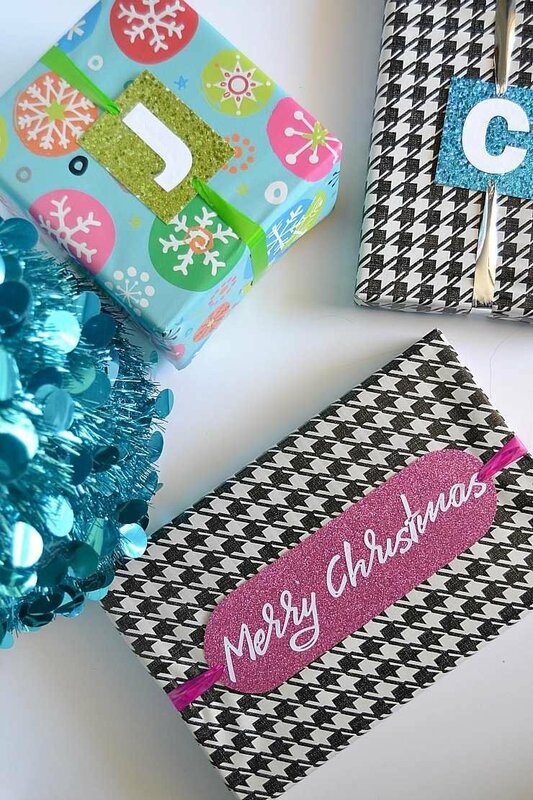 Super fun and festive DIY Christmas gift tags! Don’t forget to pin it before you go! Thanks, Lindsay, you made my day!